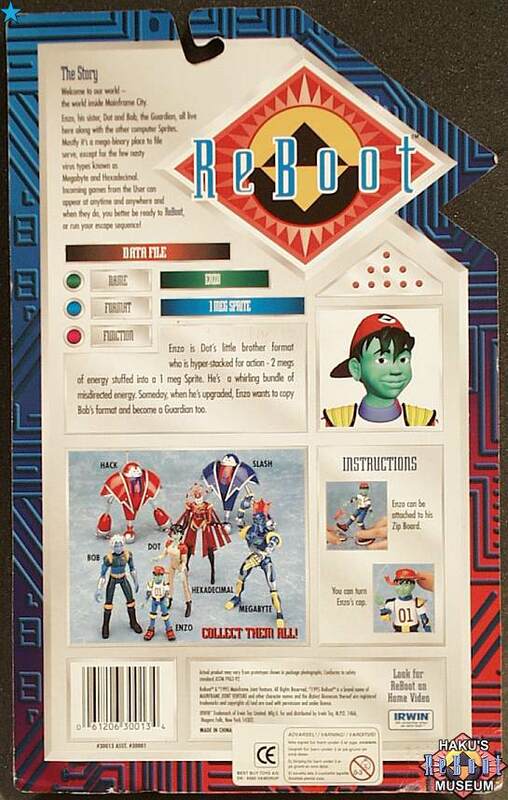 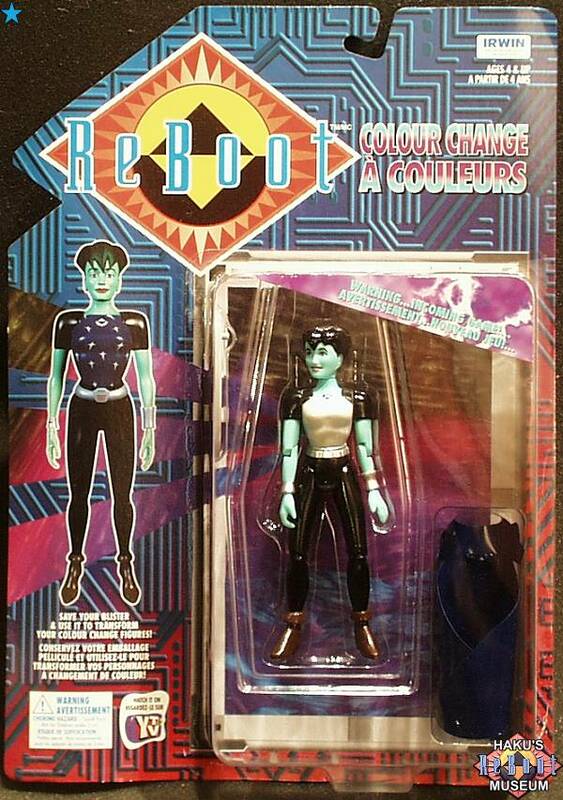 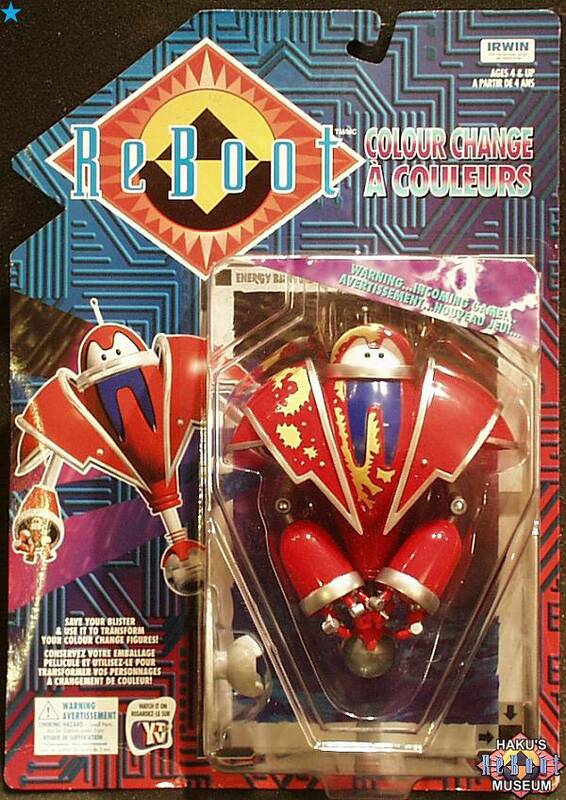 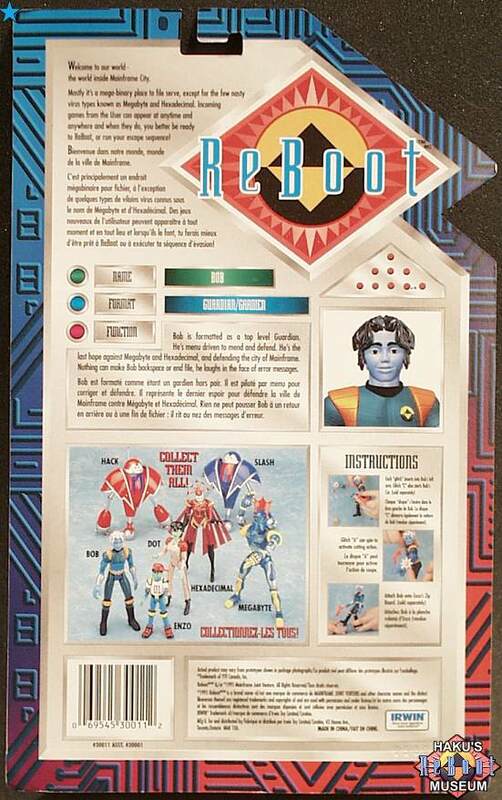 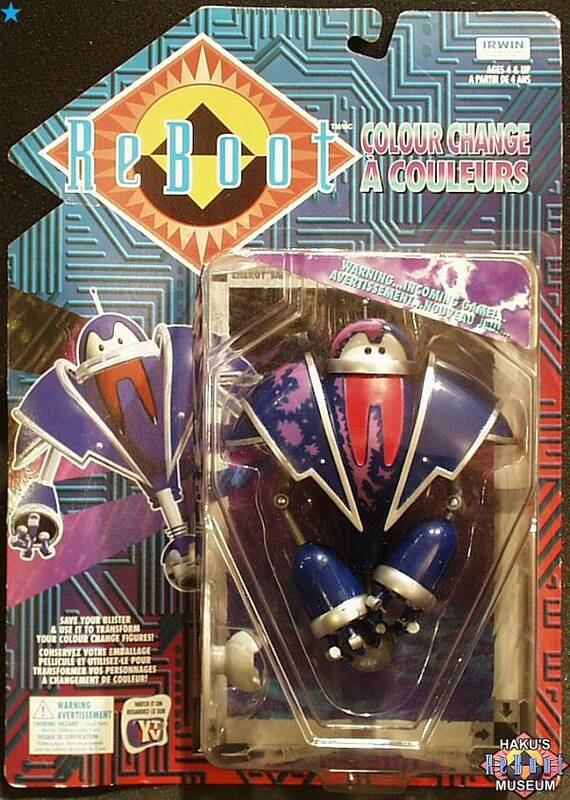 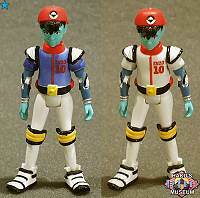 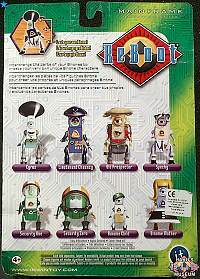 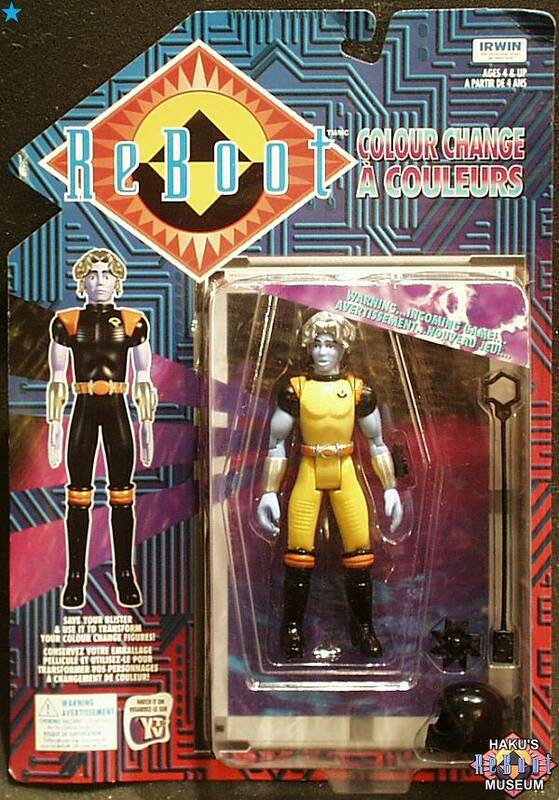 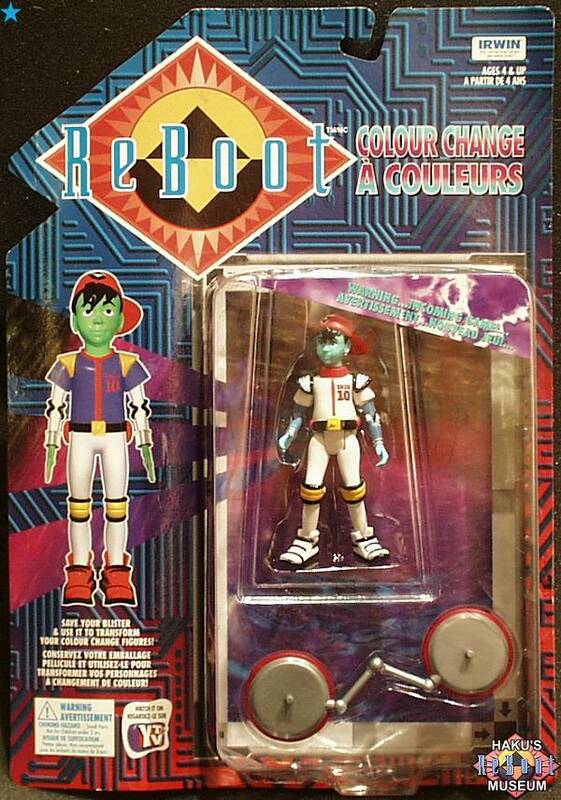 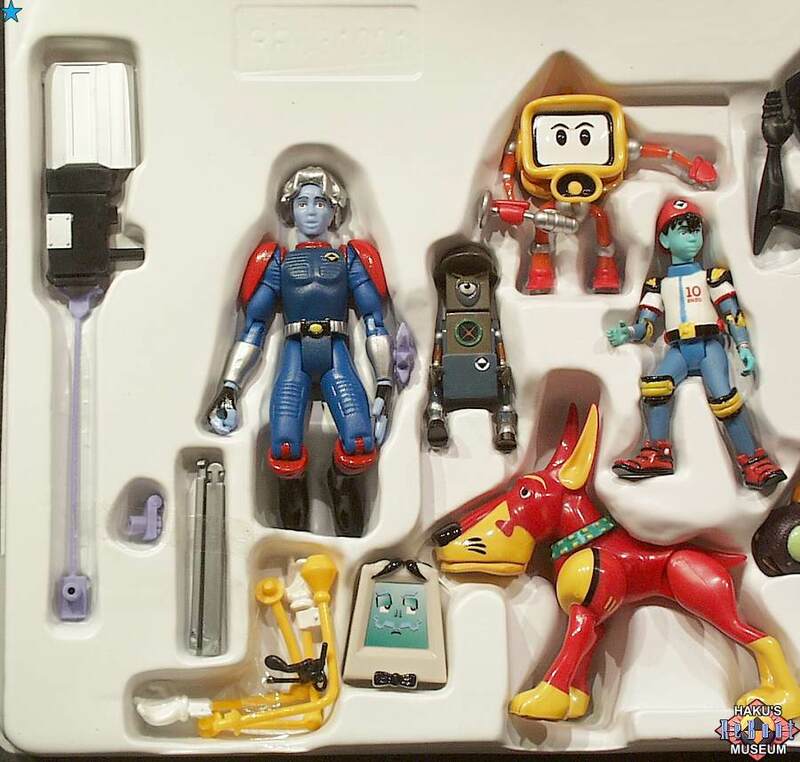 These are perhaps the most common ReBoot figures made - except the Special Edition "Talent Night" white Bob which is very rare. 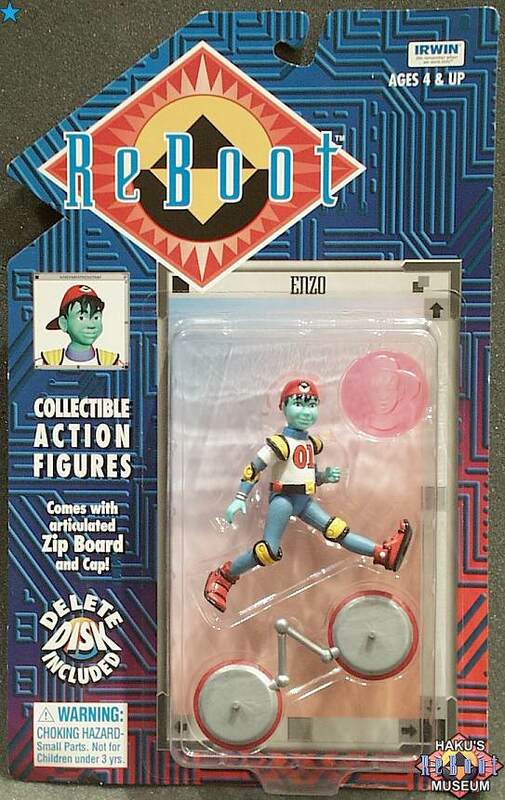 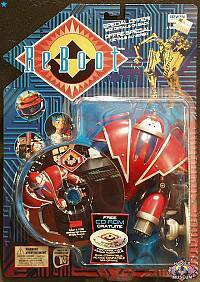 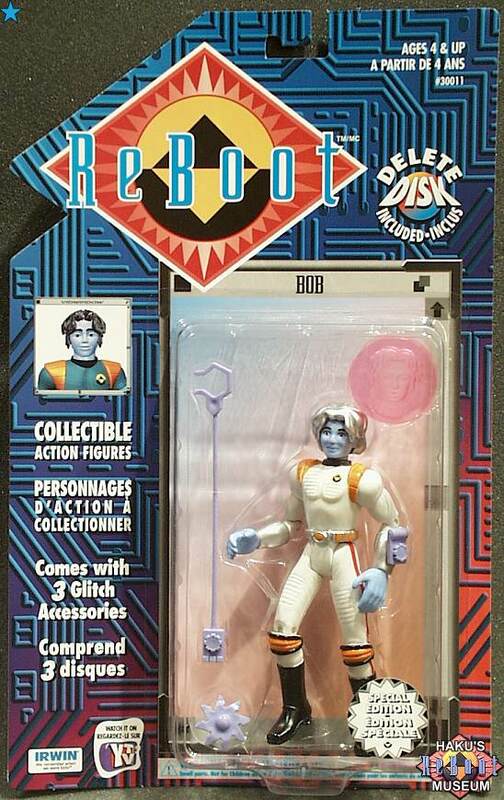 Each comes with a Delete Disk that can be fired using Bob's car or one of the three large playsets. 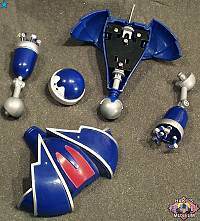 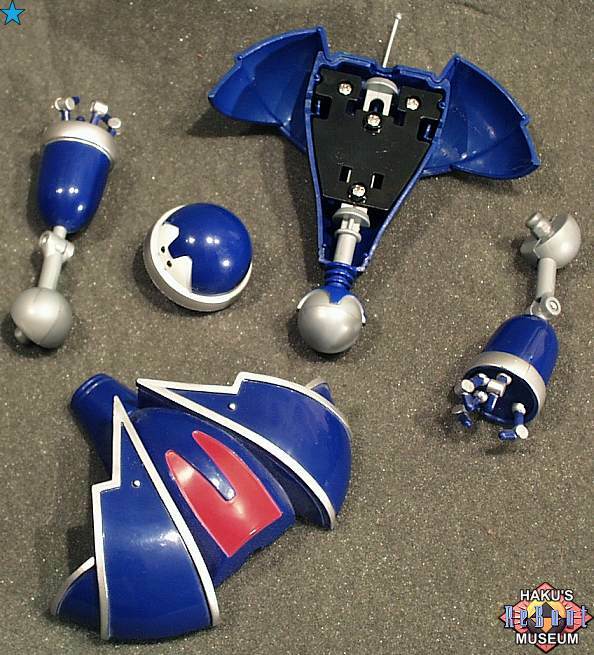 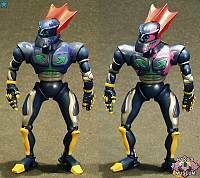 They are all very articulate and have movable arms/legs, Megabyte can be 'split in half' by taking his torso away from his legs, and Hack & slash which have the ability to fall to pieces when dropped vertically down on a hard surface. 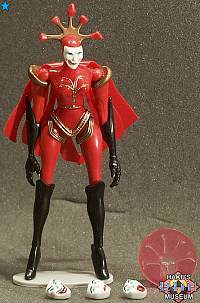 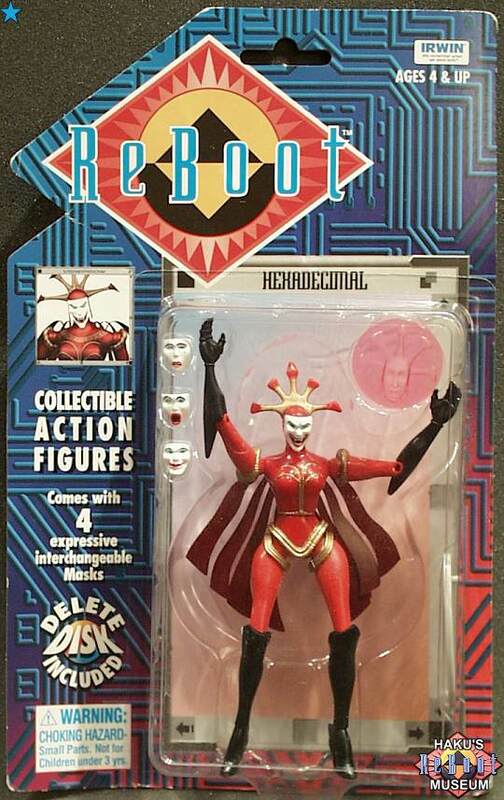 It's probably worth noting that there are two variants of Hexadecimal, one with a light red cape and one with a dark red cape, you can see them in the above pictures. 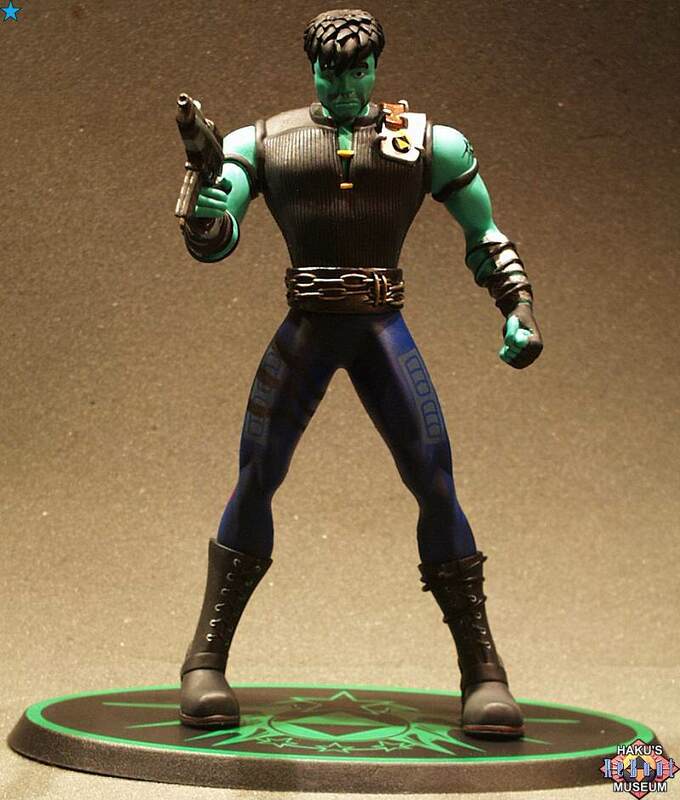 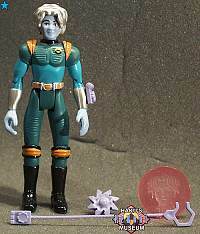 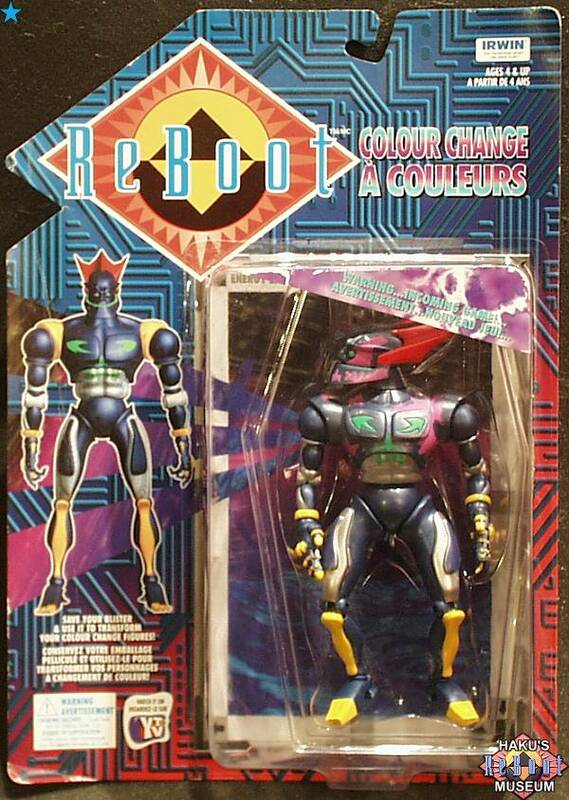 These are some of the rarer figures, parts of them change colour when they get ice cold. 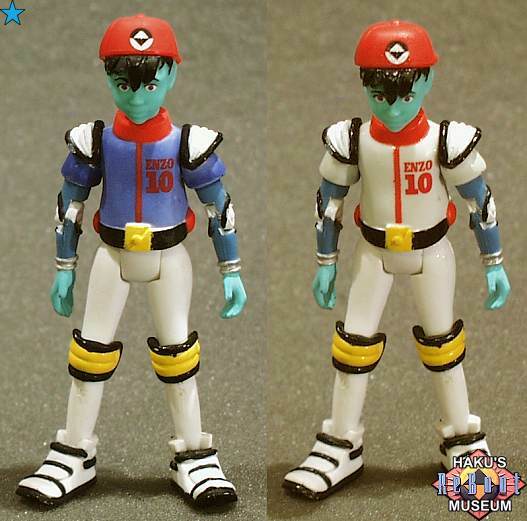 The left figure is straight out of the freezer and the right is when warmed up at room temp. 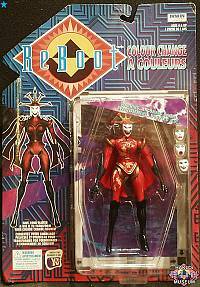 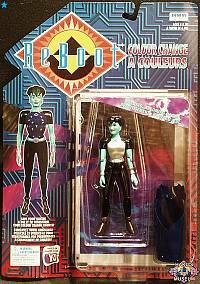 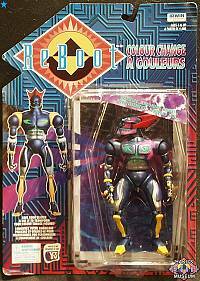 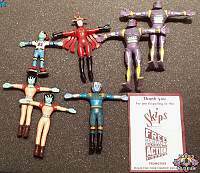 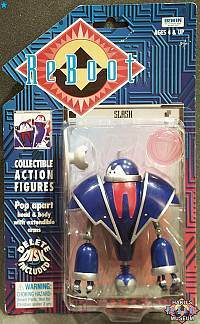 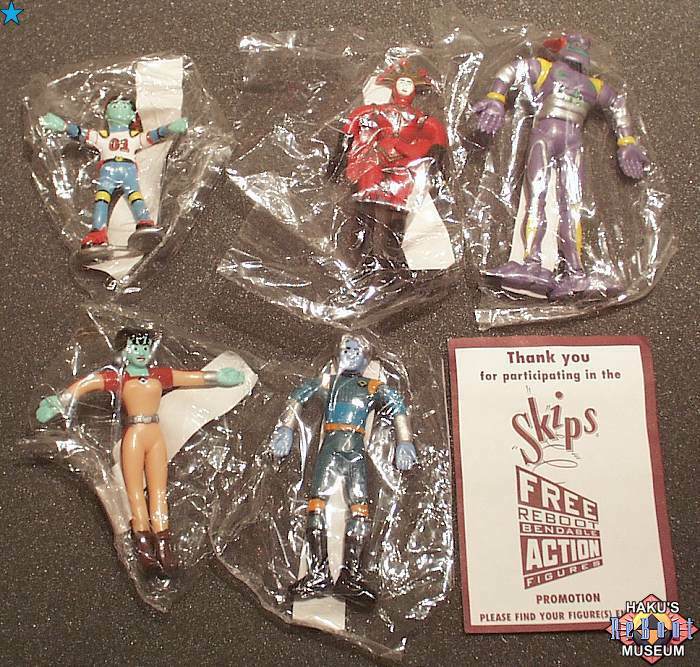 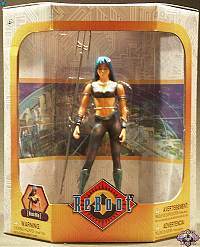 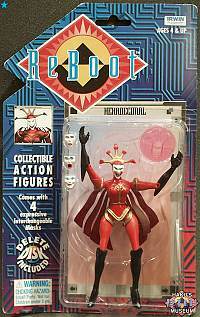 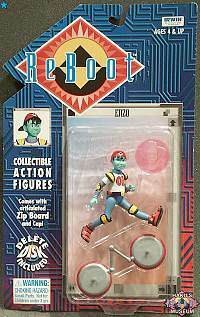 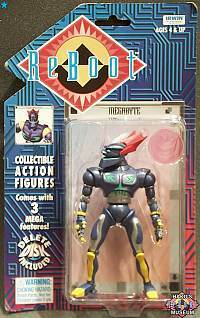 I have the complete set on card but still need these loose ones: Megabyte, Slash, Hexadecimal, as I traded a couple for a carded figure. 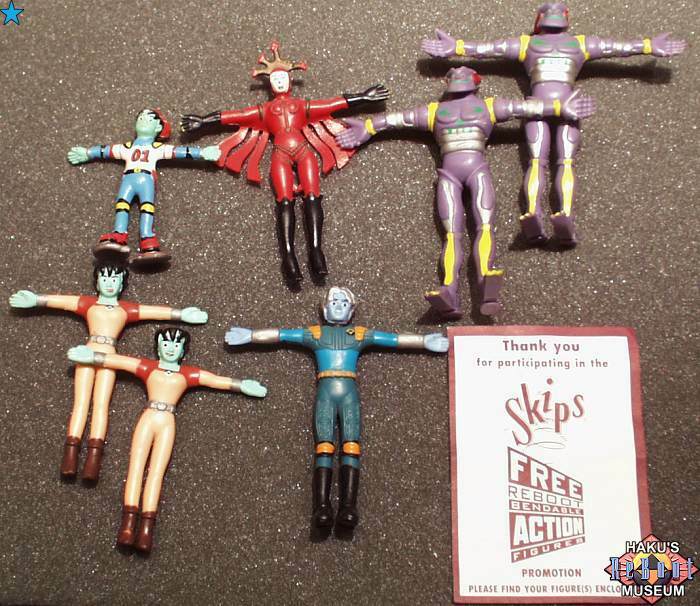 If you have them to sell, please contact me. More rare figures, each of the 7 figures comes with a CD Rom full of stuff, what's on them I don't know as I haven't opened any of them yet and don't plan to. 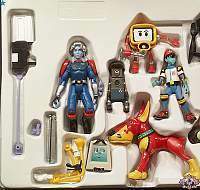 We have hell hound Frisket from "To Mend and Defend", Bob from "Bad Bob", Dot from "Talent Night", Guardian Enzo, web creature infected Megabyte, Hack & slash with rocket hands. 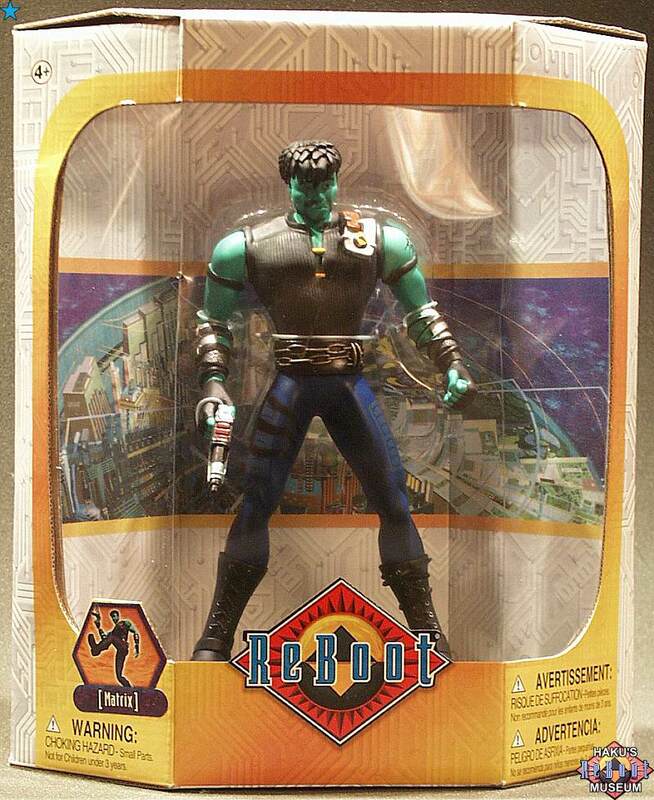 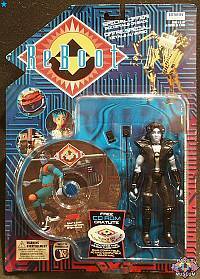 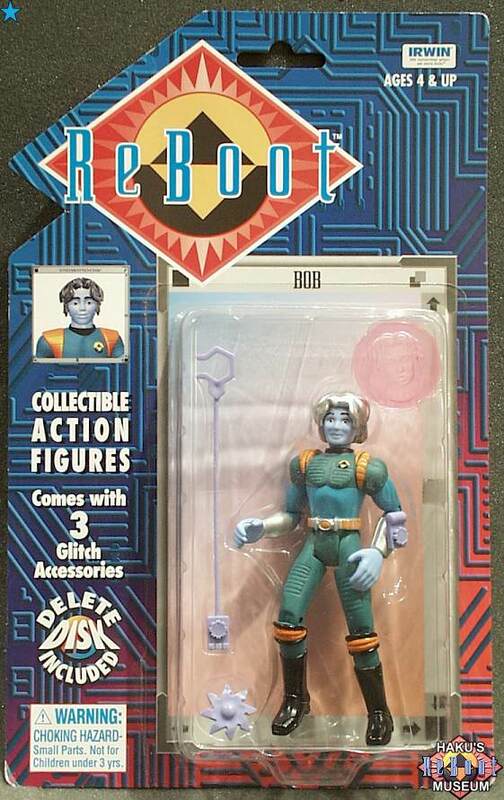 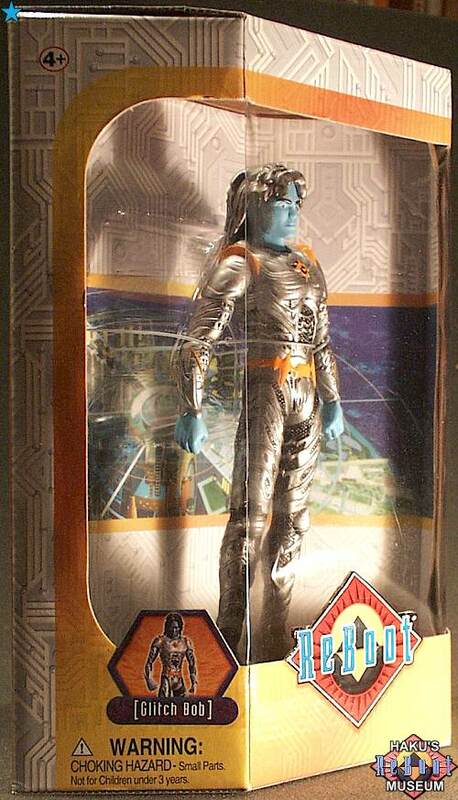 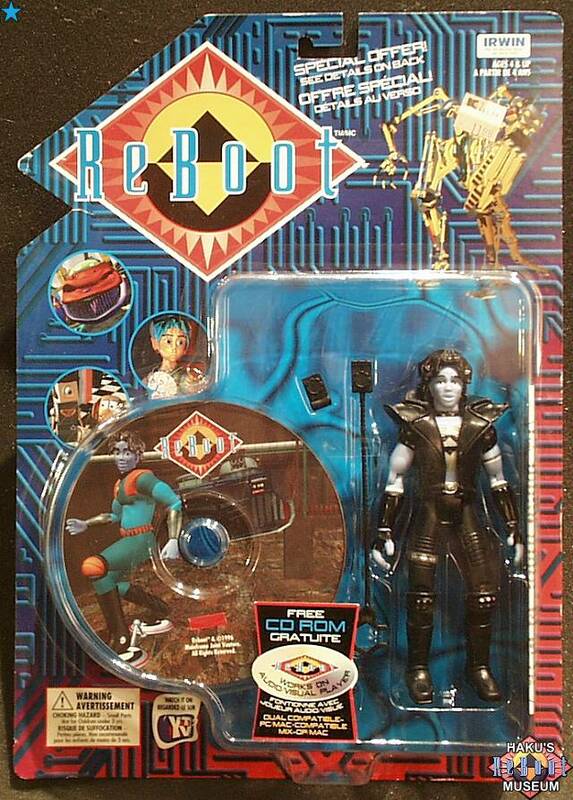 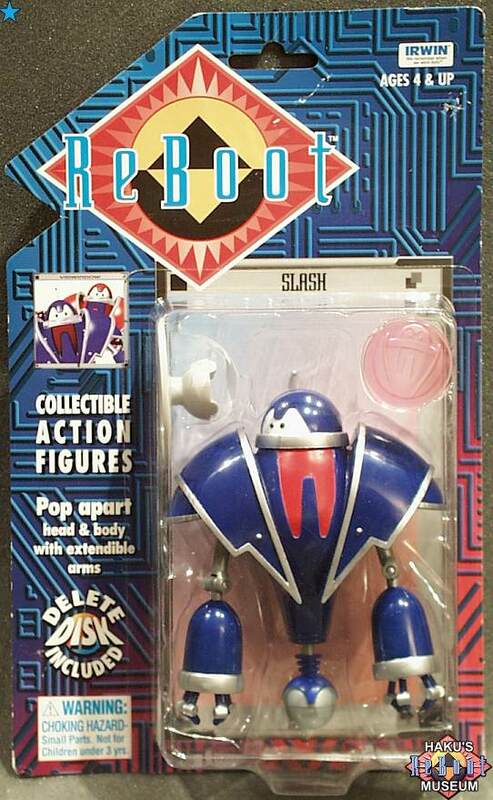 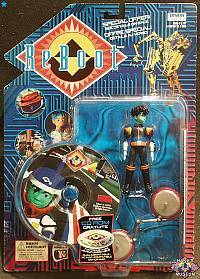 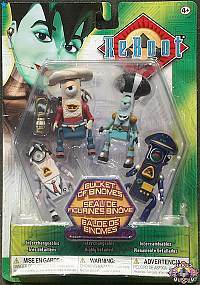 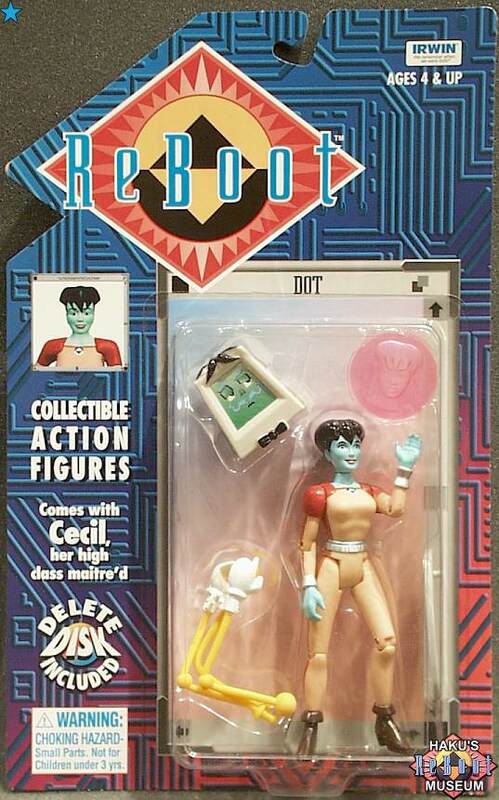 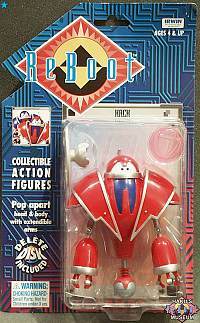 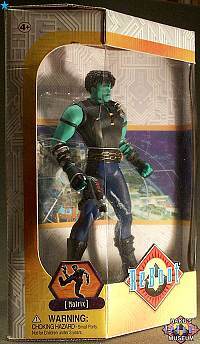 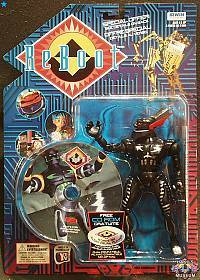 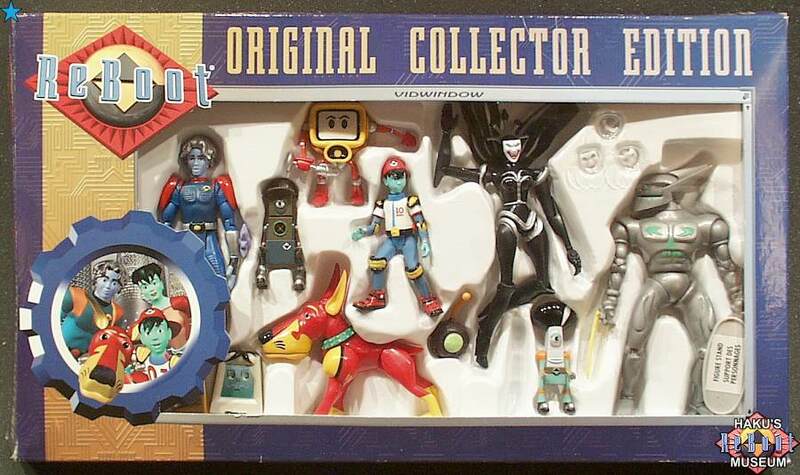 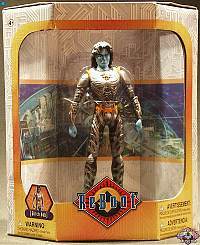 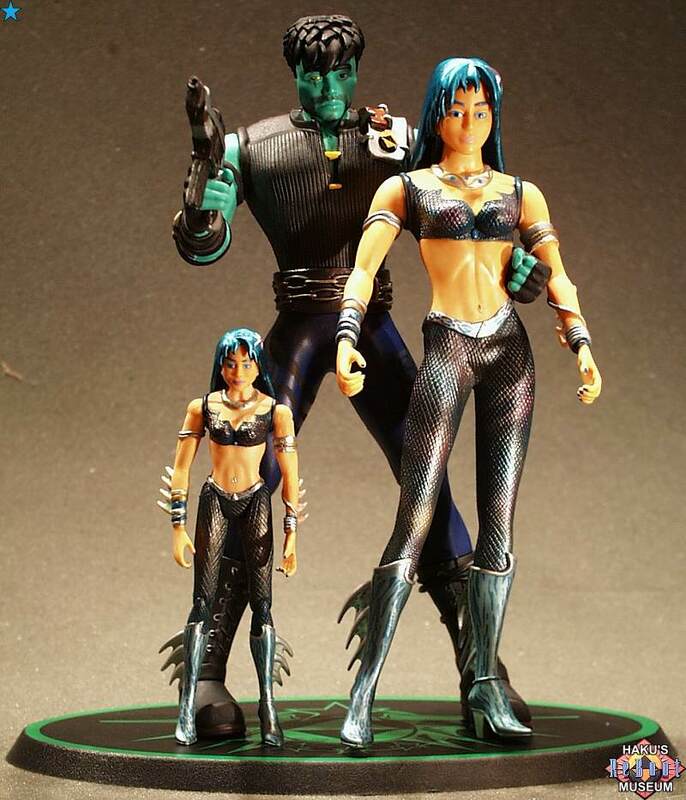 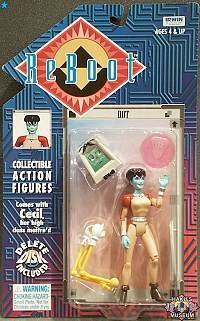 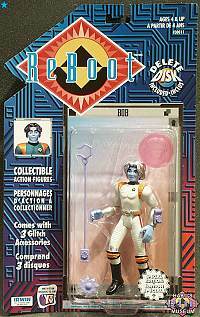 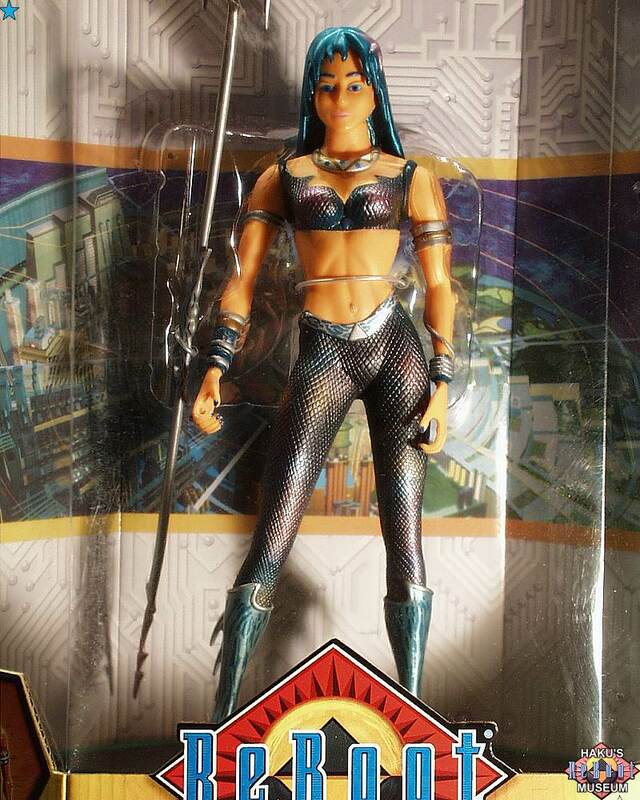 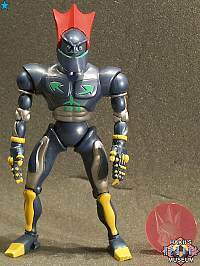 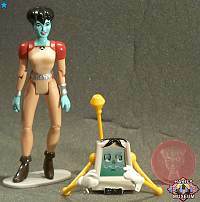 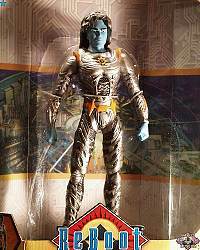 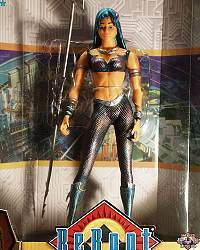 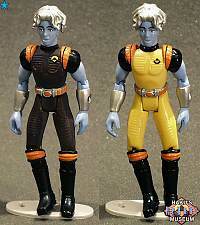 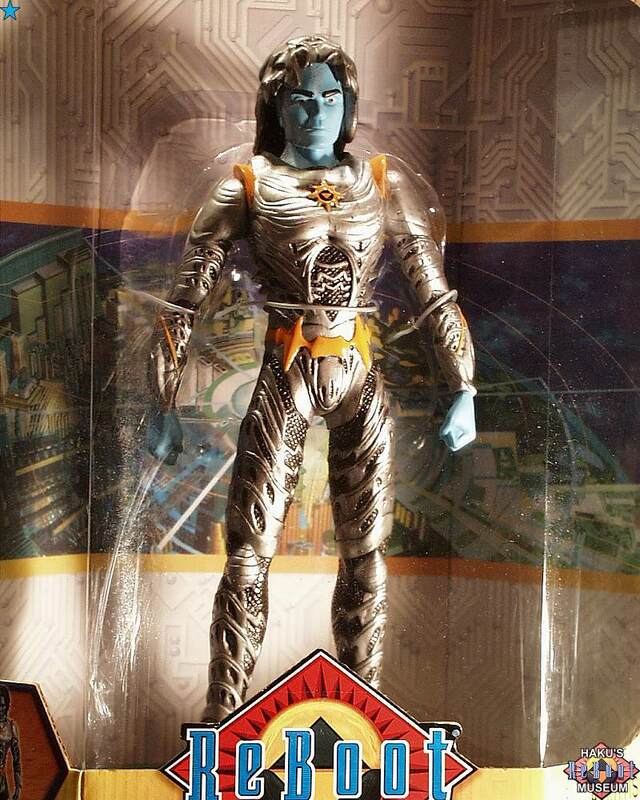 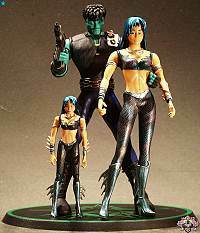 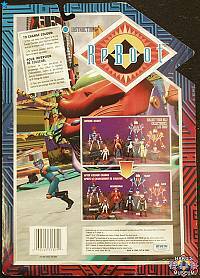 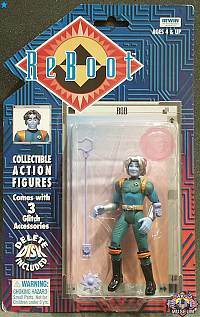 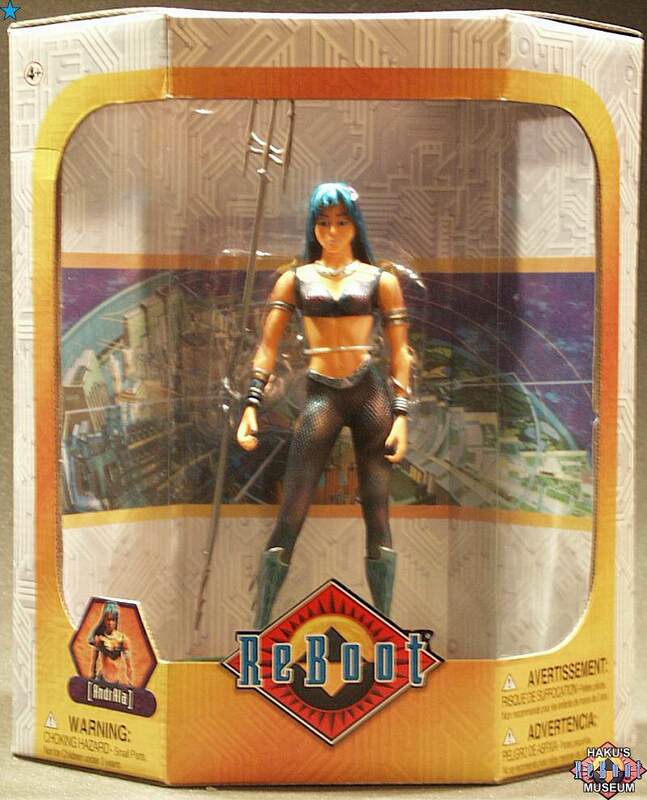 I have the complete set on card but still need these loose ones: Megabyte, Dot, Bob with accessories. 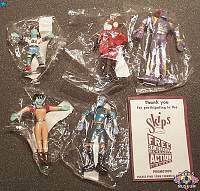 If you have them to sell, please contact me. 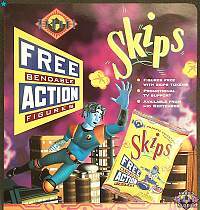 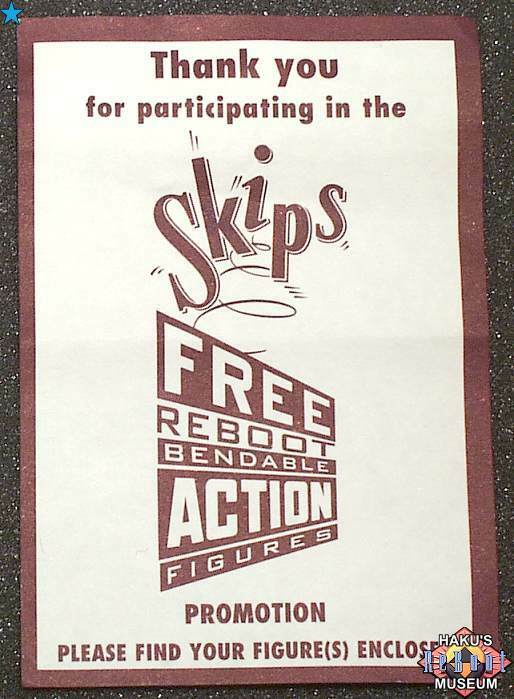 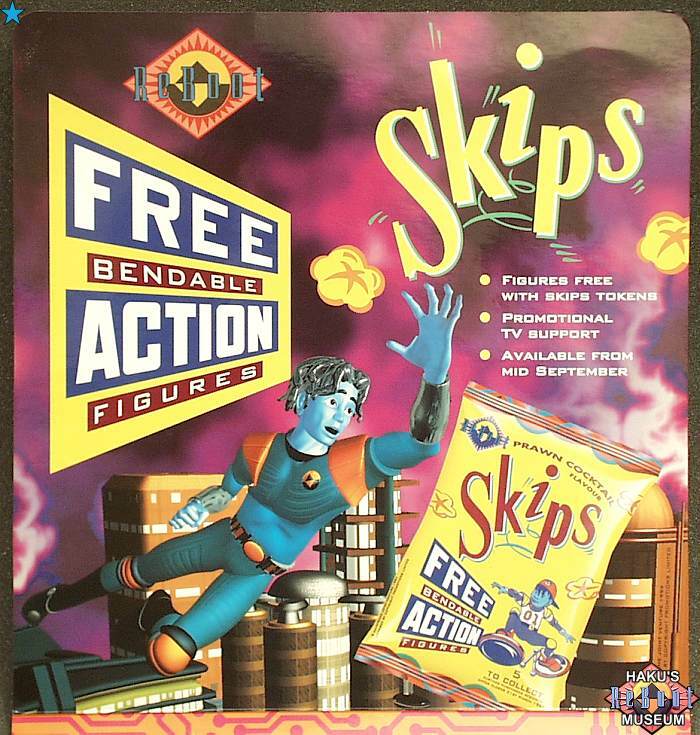 As part of Skips Crisps (chips to the US crowd) sponsorship of ReBoot in the UK, they gave away these exclusive bendy figures that hold their position. 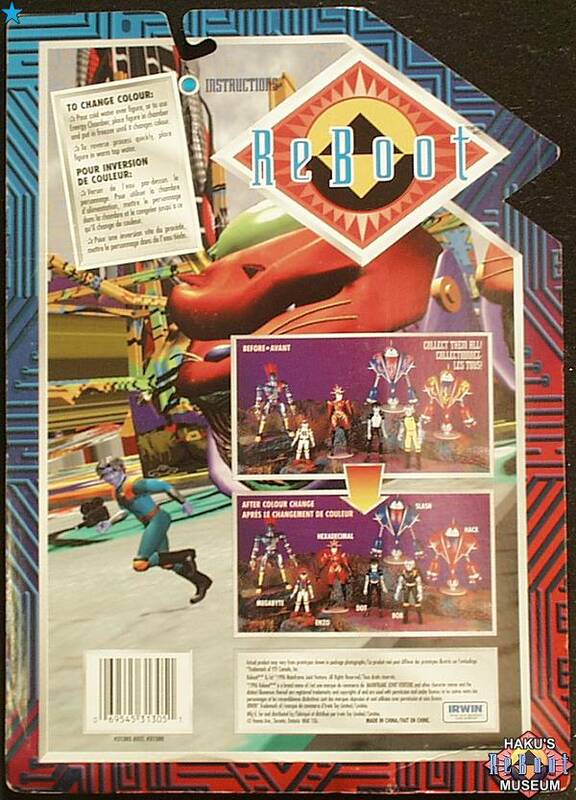 On the right you can see the cardboard promotional display with figures attached. 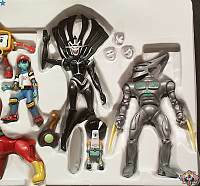 This is one of the rarer sets of figures, they're from the Series 1 Wave 3 Binome collection which are season 2 figures that each come with a binome. 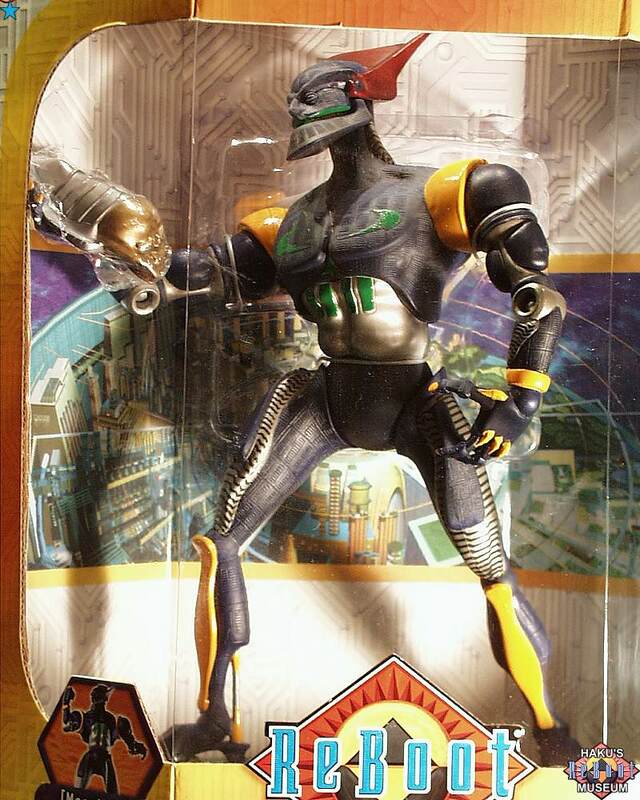 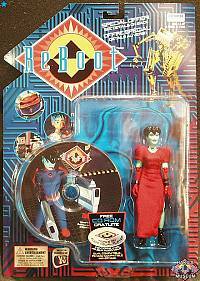 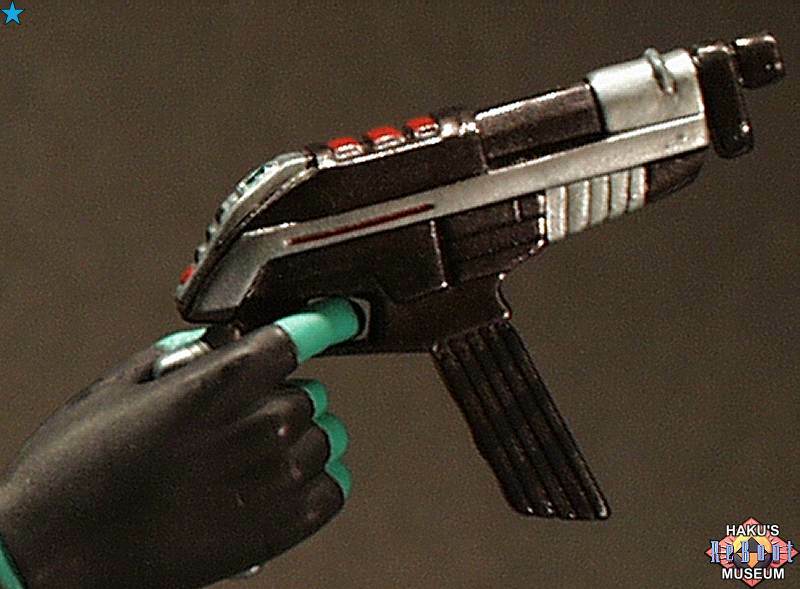 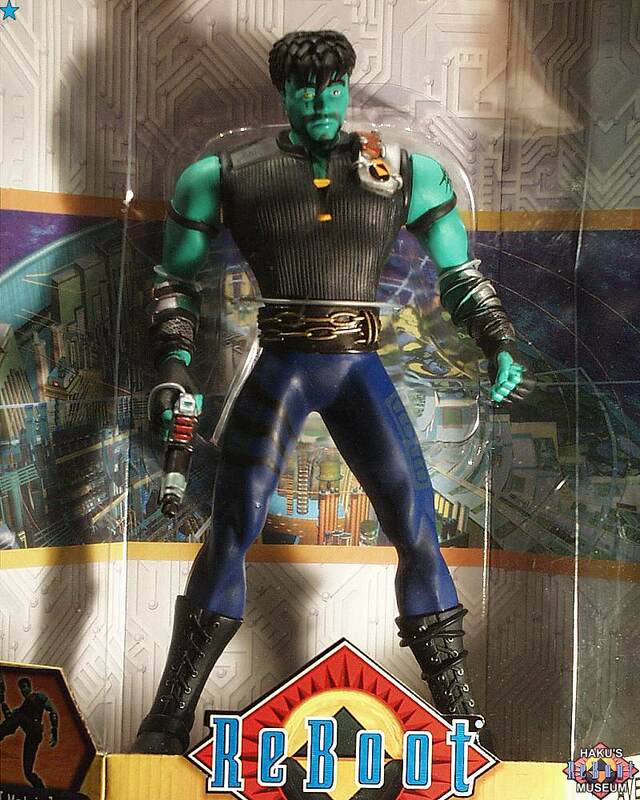 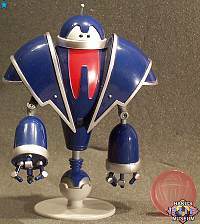 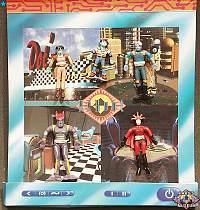 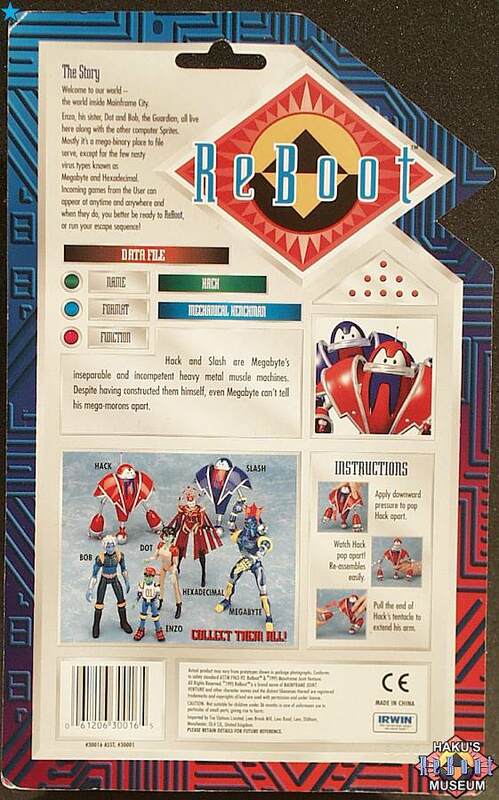 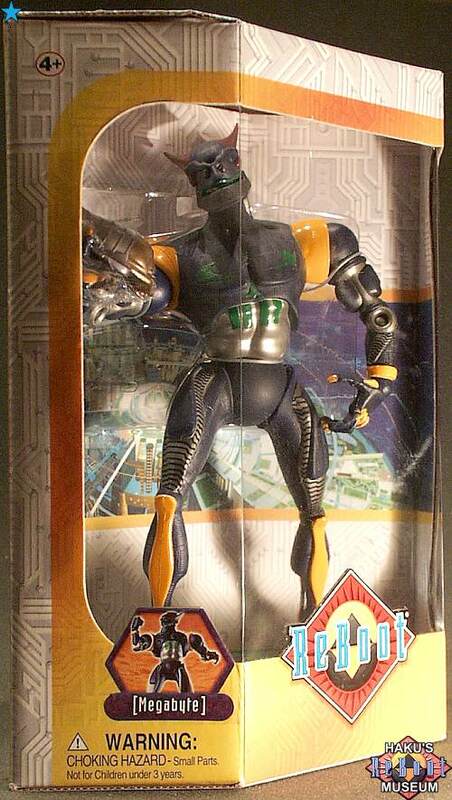 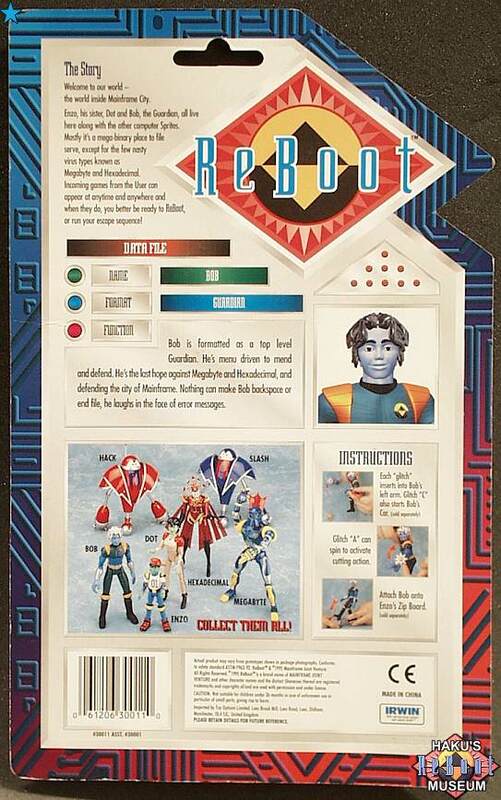 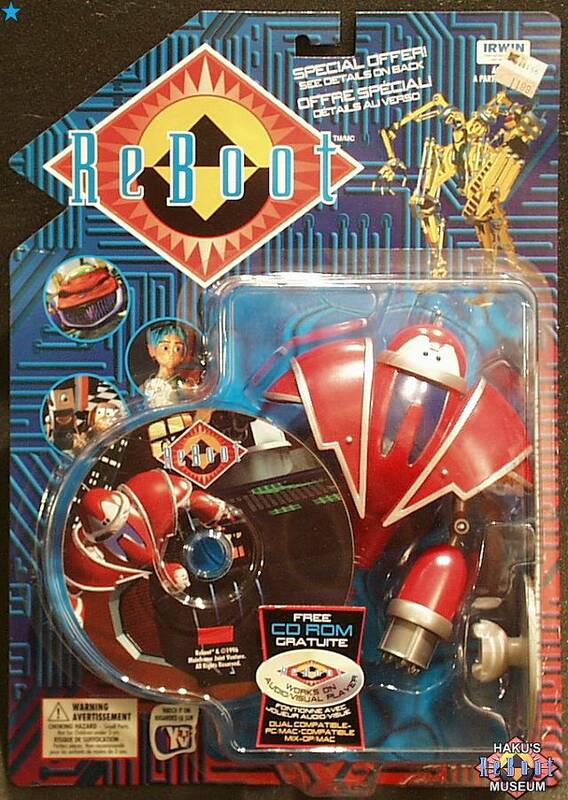 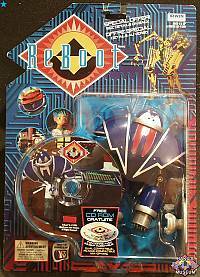 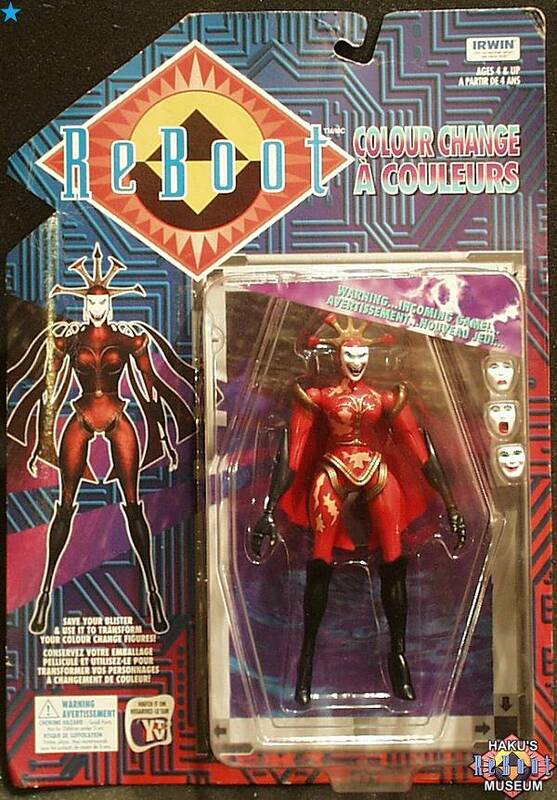 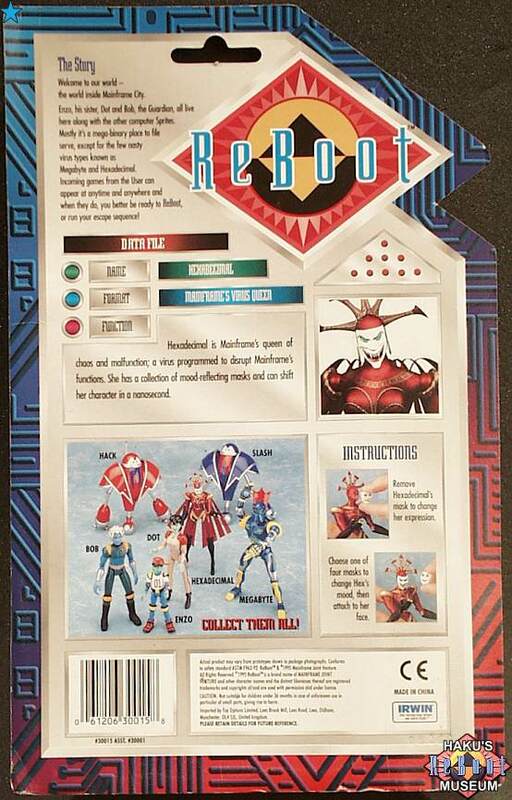 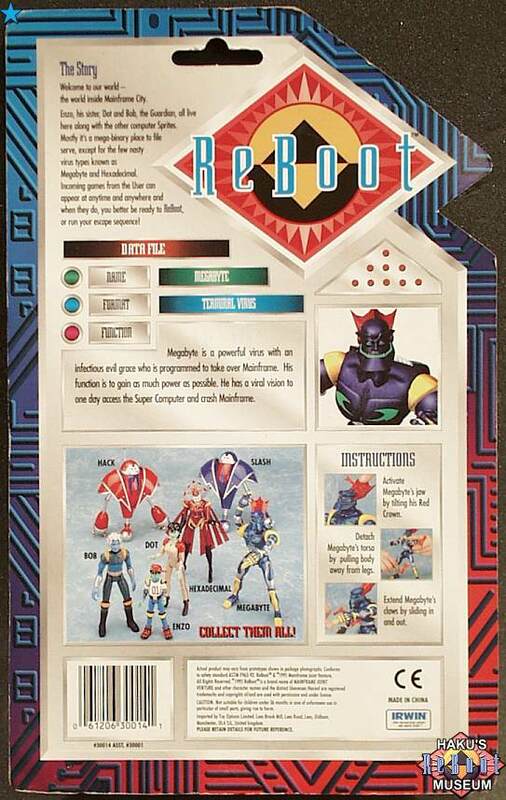 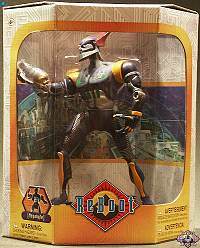 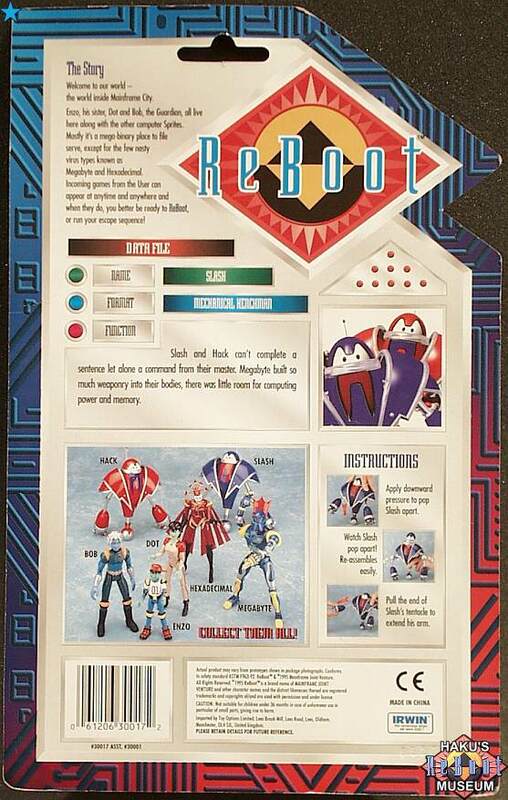 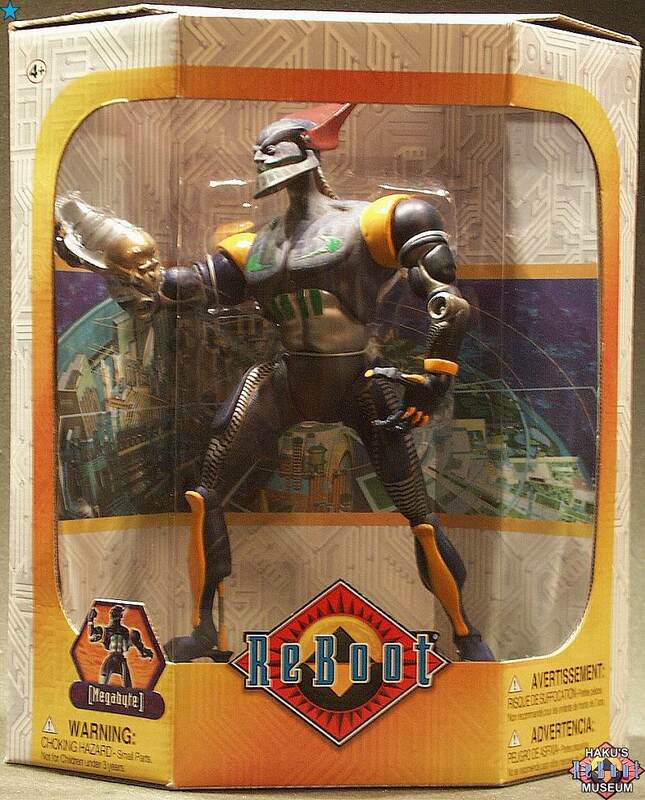 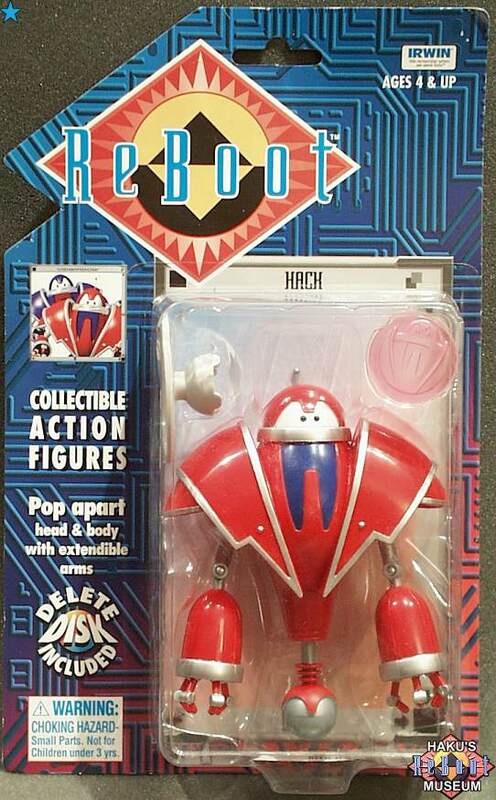 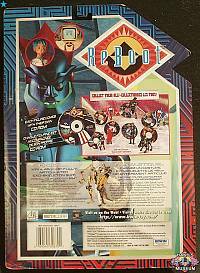 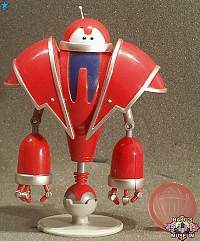 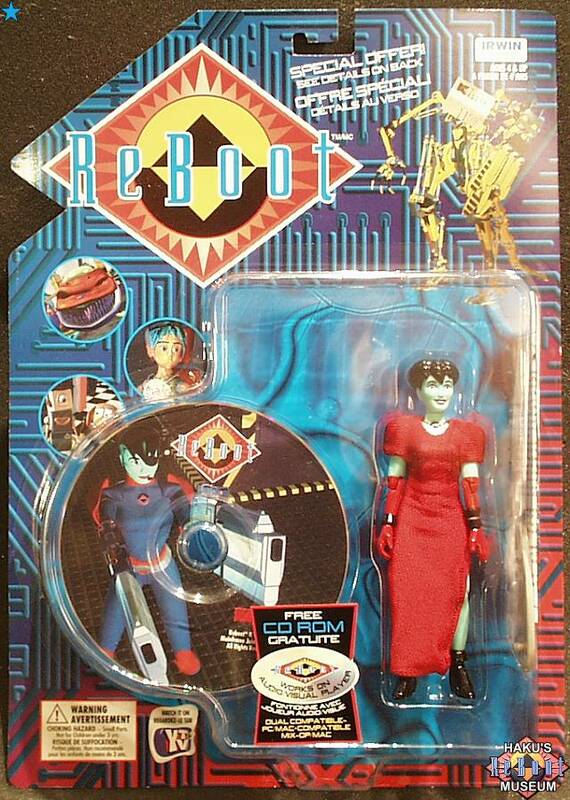 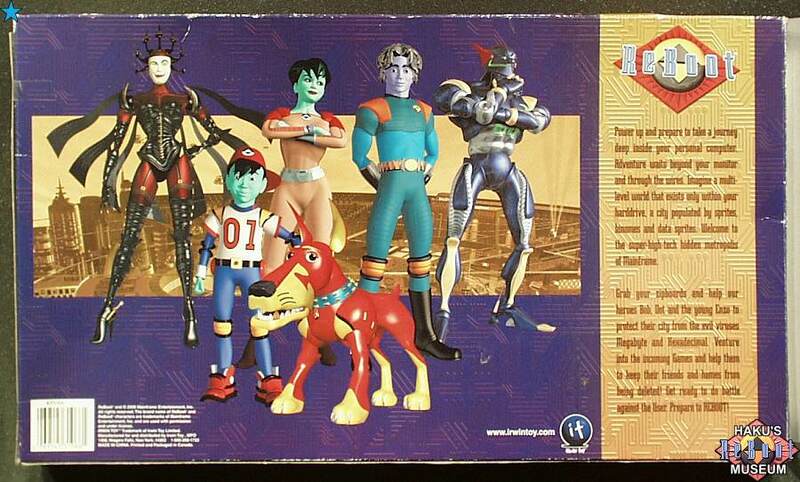 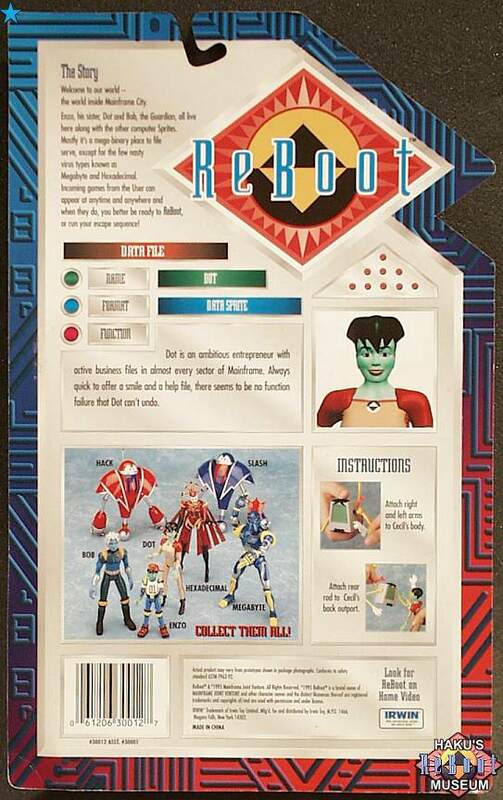 Bob is from "The TIFF" episode complete with massive gun which actualy fires 'bullets' (the long grey 'sticks'), Hexadecimal from when she was attacked by the web creature, unsure about Megabyte because he's grey and there's a special black Megabyte that comes with a CD Rom. 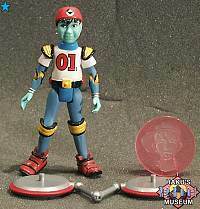 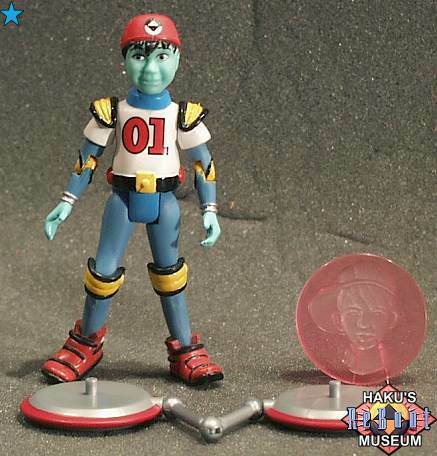 Bob and Enzo have slightly different faces from the season one figure and Enzo has the binary number "10" on his top instead of season one's "01". 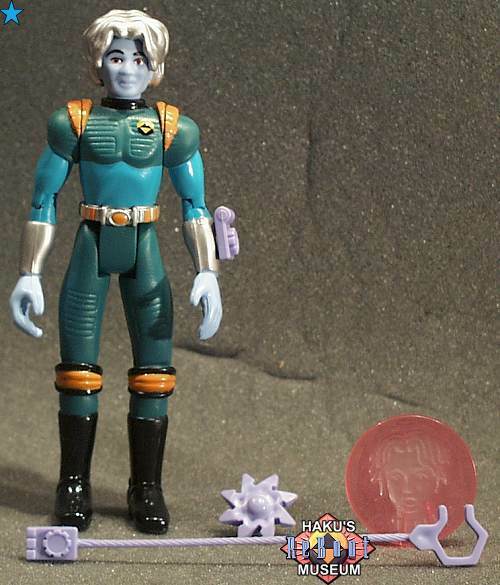 Old Man Pearson & Cyrus Binome figures differ from the Bucket Of Binomes figures in that they're smaller and don't pop apart. 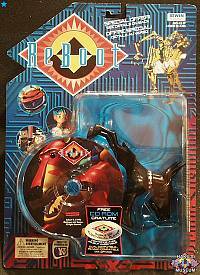 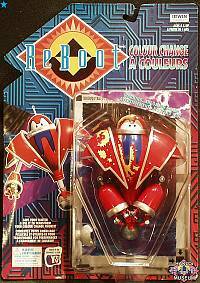 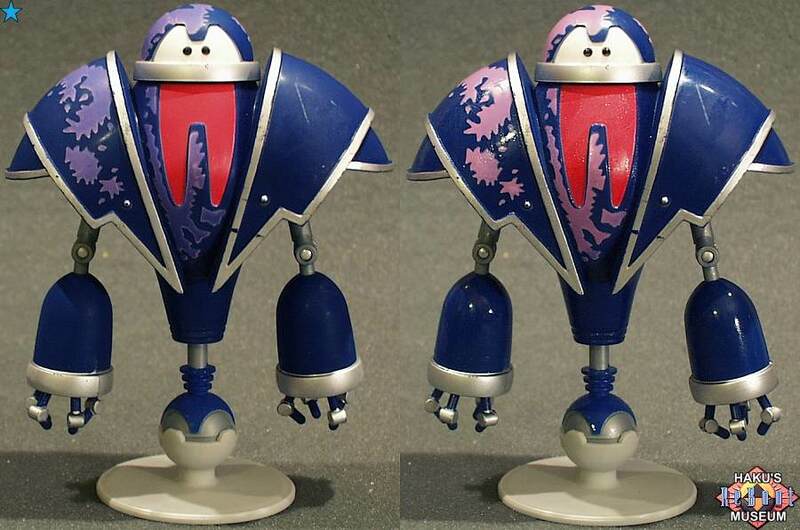 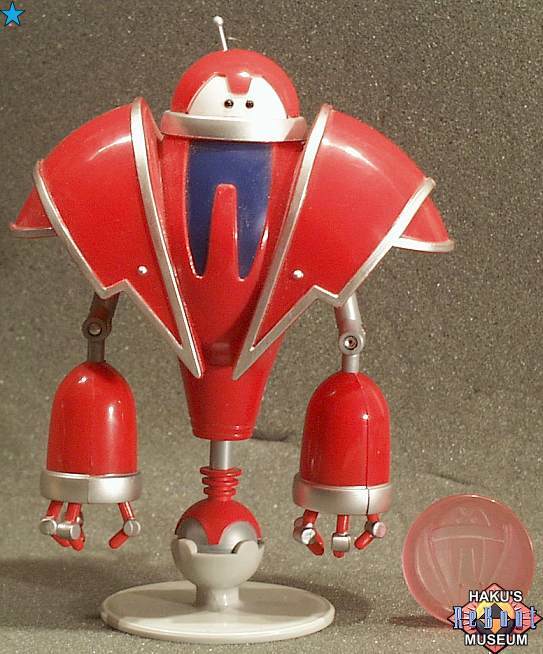 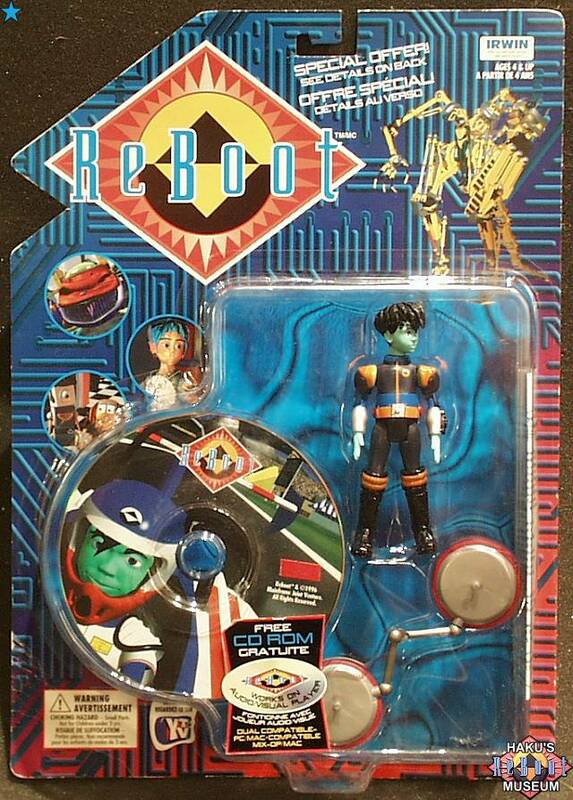 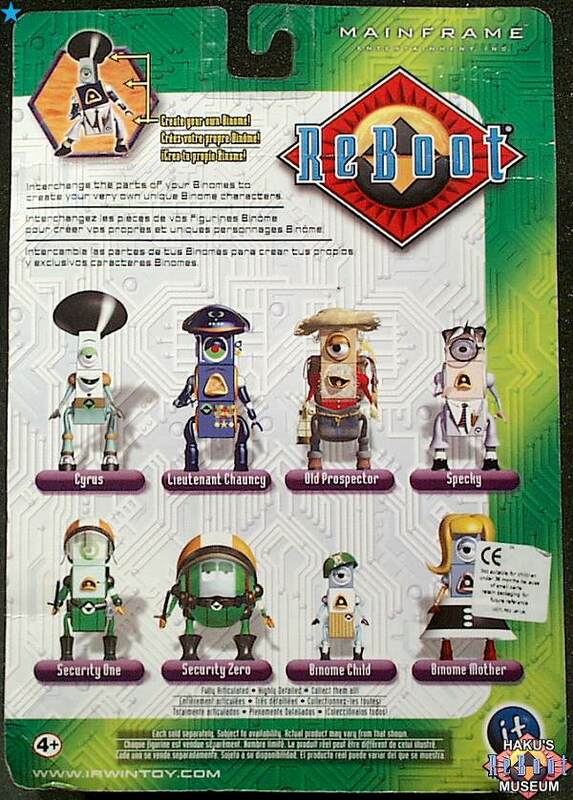 These are some of the last ReBoot toys made, they're almost 12" high and each comes with it's own large oval stand< that has the characters specific log on. 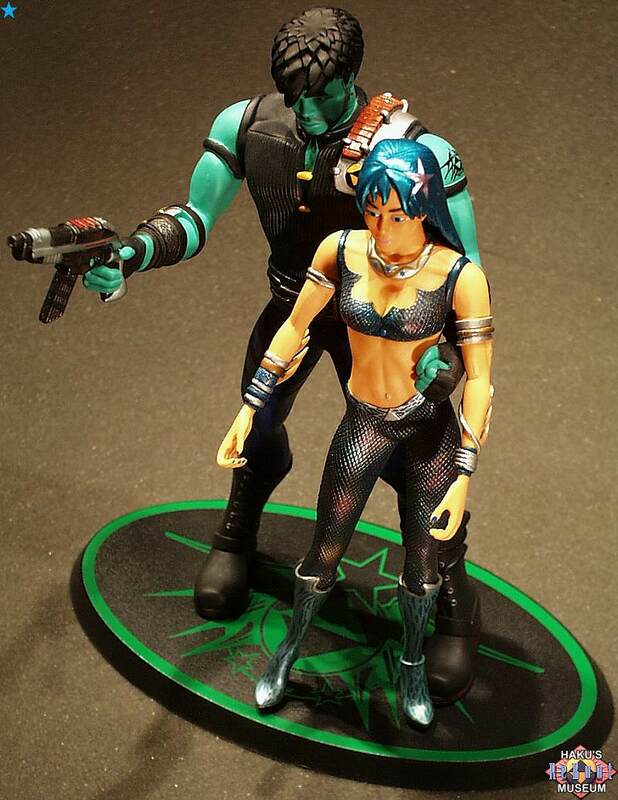 The figures don't move nearly as much as the 5" counterparts as they're more suited for displaying than playing, the sheer detail on the figures is amazing and they're quite heavy. 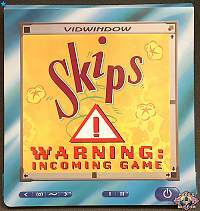 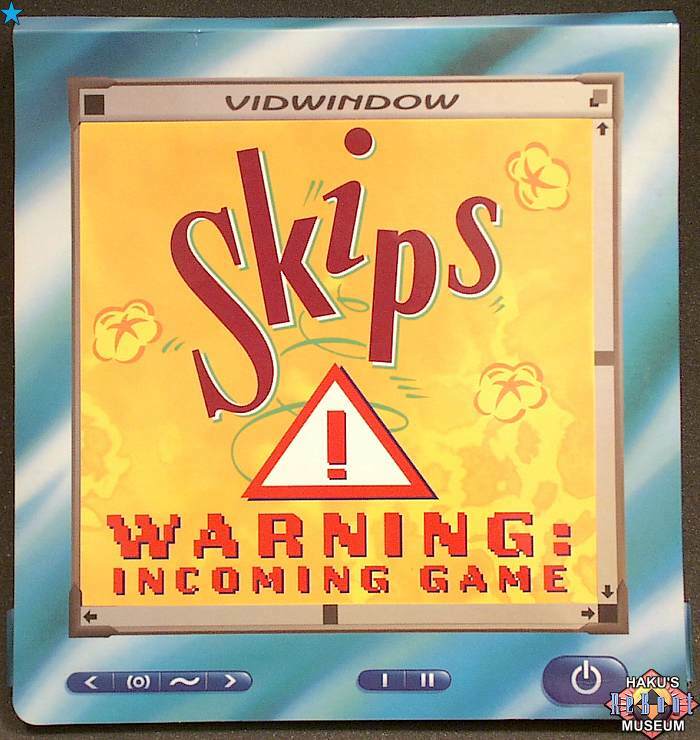 The boxes are six-sided and have a window in the top. 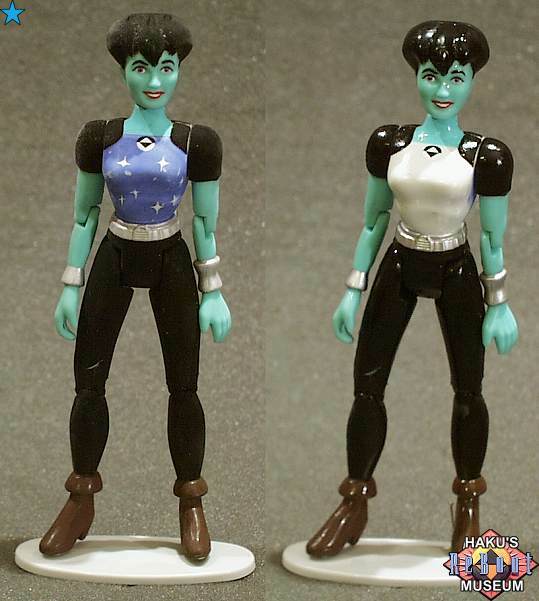 Yes that's a 5" figure looking rather small in the bottom picture. The 'Bucket of Binomes' is a set of figures which come apart and can be put together in various new combinations. 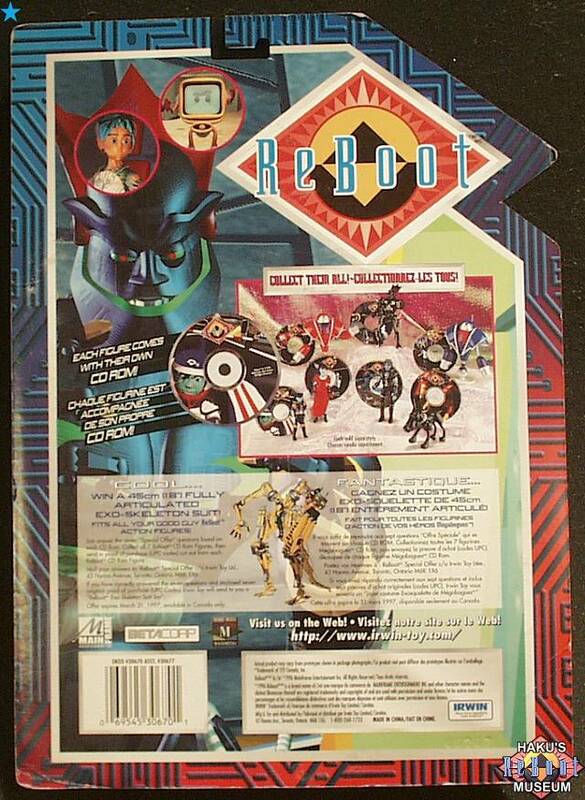 The back shows eight Binomes but only the top four were ever released. 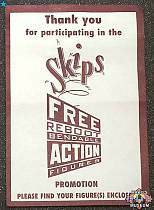 All photographs on this site are copyrighted and may not be reproduced without permission.